Page Parkes Model + Talent: PP Model Caitlin Rickets Places in LA! PP Model Caitlin Rickets Places in LA! 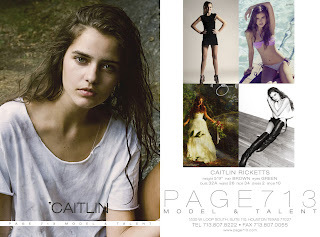 PP model Caitlin Ricketts is headed to California!! She just signed with PhotoGenics in LA! Click on the link to check them out! Want to know more about where Caitlin is headed? Click here!